The latest Nintendo Download goes live today on the various eShops, adding in an impressive new wave of titles to Switch, 3DS and Wii U - so be sure to log in and see what takes your fancy. As always, be sure to leave a vote in the weekly poll, and drop a comment or two below with your hot picks on the platform of choice. Enjoy! 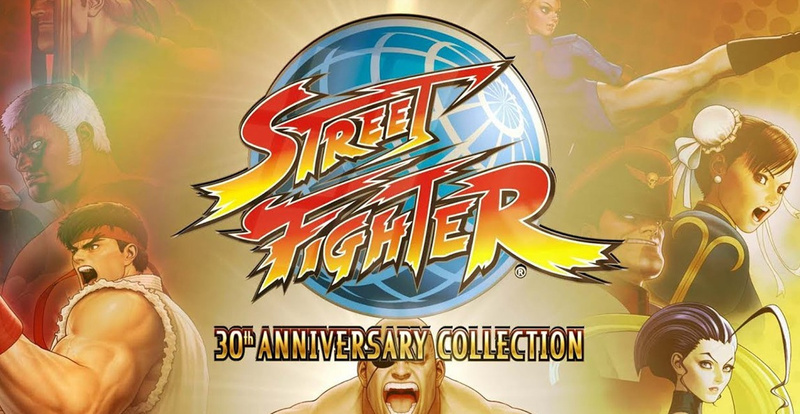 Street Fighter 30th Anniversary Collection – Celebrate Street Fighter’s historic legacy with the Street Fighter 30th Anniversary Collection, a massive collection of 12 Street Fighter games that encompass the Street Fighter I, Street Fighter II, Street Fighter III and Street Fighter Alpha series. 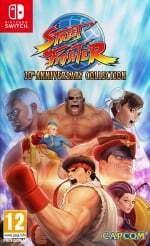 The Street Fighter 30th Anniversary Collection will be available May 29. 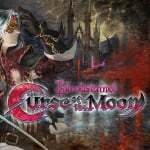 Bloodstained: Curse of the Moon (INTI CREATES, $9.99) - Play as Zangetsu, a demon slayer bearing a deep grudge, who must travel through perilous lands to defeat a powerful demon lurking in a dark castle. Zangetsu will meet fellow travelers along the way, who can join your journey as playable characters. 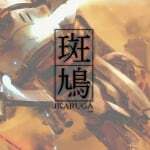 Ikaruga – A rebel pilot named Shinra must battle an enemy nation using a specially designed fighter called the Ikaruga, which can alternate between two energy polarities (black or white) at the touch of a button. Bullets that are the same color as Shinra’s ship can be absorbed, while the opposite color will do damage. Ikaruga will be available on May 29. 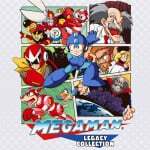 Mega Man Legacy Collection (Capcom, $14.99) - Mega Man Legacy Collection is a celebration of the 8-bit history of Capcom's iconic Blue Bomber. Featuring faithful reproductions of the series' origins with the original six Mega Man games, the Legacy Collection will remind long-time fans and introduce newcomers to what made Mega Man such a popular and iconic character. Read our review. Mega Man Legacy Collection 2 (Capcom, $19.99) - The Blue Bomber is back in this second collection of classic Capcom titles! Featuring faithful reproductions of Mega Man 7, 8, 9, & 10, this collection spans the iconic series' evolution and retro revolution. Take on the nefarious Dr. Wily and his diverse Robot Masters in these timeless 8-bit, 16-bit, and 32-bit adventures! Read our review. Runner3 (Choice Provisions, $29.99) - The rhythm-music gameplay of BIT.TRIP RUNNER and Runner2 is back and better than ever! The Timbletot is determined to rid the multiverse of all its love and happiness. CommanderVideo, a lover if ever there were one, refuses to let this happen. He's ready to jump, double-jump, wall-jump, slide-jump, slide, kick, float, drive, fly, and dance his way to victory, all across a medley of thrilling, challenging, and joyous levels! Read our review. 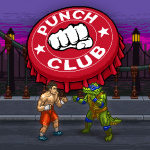 Punch Club (tinyBuild Games, $14.99) - Punch Club is a boxing tycoon management game with multiple branching story lines. Your goal is clear, but how you get there depends on whether you want to legitimately climb the rankings, or take the more ridiculous, shady route. Zen Bound 2 (Secret Exit, $14.99) - Wrap your way to bliss in Zen Bound 2, the unique down-tempo indie game! This is an opportunity to slow down, zone out, and focus on a task that's challenging but not stressful: a set of gentle spatial puzzles. 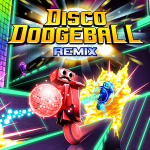 Disco Dodgeball - REMIX (Zen Studios, $11.99) - Disco Dodgeball – REMIX is a ridiculous physics-based futuresport combining robots, one-hit-kill projectile combat and crazy dodgeball action. Dodge, deflect and catch enemy fire as you perform ridiculous aerial stunt shots with your mustachio'd unicycle robot and enjoy the voice of a booming monster truck driver announcer when you score! Play a wide variety of classic and expert game modes in singleplayer, local multiplayer, or online multilpayer matches. Read our review. 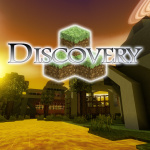 Discovery (noowanda, $7.99) - Explore a giant world made of blocks and modify it with your own creations. Construct houses, build entire villages, cities, monumental constructions or dig deep underground. Place torches or design complex electric circuits to light up your creations in the dark and enjoy beautiful day and night cycles. Build alone or together with friends in splitscreen multiplayer mode for up to 4 players. Escape Game: Aloha (SilverStar, $5.99) - Can You Escape This Place? You are in a beautiful villa overlooking the sea in Hawaii. Find and combine items, solve puzzles, then escape! After the ending, play hide-and-seek with animals!? Can you find them all? N++ (Metanet Software, $14.99) - This is the long-awaited sequel to the legendary N+, rewritten from scratch to be bigger, better, and more beautiful in every way. Read our review. Baobabs Mausoleum Ep.1: Ovnifagos Don't Eat Flamingos (Zerouno Games, $5.99) - The town of Flamingo's Creek is a place that appears every 25 years in Albatross Road, a neighborhood that only appears in nightmares. Dead Fun Pack: Penguins and Aliens Strike Again (EnjoyUp Games, $6.99) - Dead Fun Pack: Penguins and Aliens Strike Again is a collection for those who love challenges, including Run Run and Die and Mutant Alien Moles of the Dead. 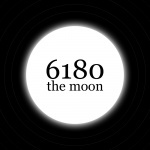 6180 the moon (Turtle Cream, $3.99) - 6180 the moon is a platformer game with a unique mechanic. It offers a fresh, unseen game play style by connecting the top and bottom of the screen. This allows in a mechanic with delightfully long jumps and no fear of "slipping" to death. ACA NEOGEO TOP PLAYER'S GOLF (HAMSTER, $7.99) - "TOP PLAYER'S GOLF" is a sports game released in 1990 by SNK. Three modes, STROKE PLAY, MATCH PLAY, and NASSAU GAME, are available along with two types of courses. You'll find yourself fully absorbed in this game's immersive graphics and strategic skill planning. Arcade Archives Ikki (HAMSTER, $7.99) - 'Ikki' is an action game that was released from SUNSOFT in 1985. Players control 'Gombe' of farmers, to go to raid evil magistrate, will defeat confronting enemies. In this work, players can enjoy 'two coop play'. Player 2 will operate 'Tago'. 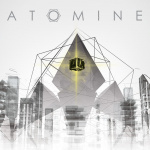 ATOMINE (MixedBag Srl, $8.99) – Atomine is a twin stick procedural rogue-lite shooter set in a virtual world with minimalist design, where the player recounts on the screen the real events of STUXNET, the first weapon ever created in the form of computer virus. Available May 25. Die for Valhalla! (Monster Couch, $9.99) – Die for Valhalla! is an action RPG where you hack, slash and crush your enemies! 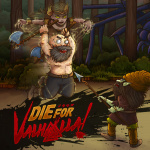 Possess and take full control of heroes, monsters and other things to help Vikings save their realm! Available May 29. Dungeon Rushers (Plug In Digital, $14.99) – Dungeon Rushers is a 2D tactical RPG combining dungeon crawler's gameplay and turn based fights. Manage your team, loot dusty dungeons, crush armies of monsters and craft mighty equipment. Be part of an epic adventure with a colorful cast of characters in an off-beat universe. Available May 25. 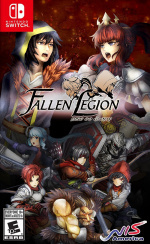 Fallen Legion: Rise to Glory (NIS America, $39.99) – Return to the battlefield of Fenumia, where a besieged nation stands on the brink of war. Available May 29. Harvest Moon: Light of Hope Special Edition (Natsume, $39.99) – Looking for a fresh start and some new surroundings, you set off on a voyage to begin your new life! Unfortunately, the weather has different plans, as your ship is hit by a storm, and goes down! You drift into a small harbor town, now in shambles from the storm, where a young doctor named Jeanne saves your life. The town has been deserted, but you're never one to back down from a challenge! It will be up to you to help rebuild the town and save the lighthouse...but it won't be easy! Available May 29. 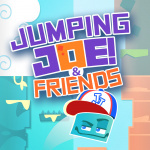 Jumping Joe & Friends (QubicGames, $4.99) – The creators of Robonauts and Astro Bears Party proudly present a new title perfect for intense playtimes with your friends and family. Available May 25. Jurassic Pinball (EnjoyUp Games, $1.99) – Enjoy Jurassic Pinball, a perfect reproduction of a real pinball machine, with all the graphic details and sounds. Available May 25. Knights of Pen and Paper +1 Deluxier Edition (Plug In Digital, $14.99) – Set out on a grand adventure in this turn-based, retro style, pixel-art RPG, inspired by the great titles of the 90's. Take on the roles of in-game players taking on the roles of their characters in a traditional pen and paper RPG session in the ultimate meta roleplaying experience. Available May 29. 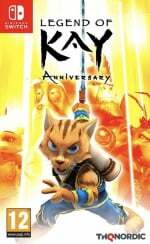 Legend of Kay Anniversary (Nordic Games, $29.99) – 10 years after its initial release, Legend of Kay - Anniversary is a thoroughly remastered version of the original game: high-resolution textures; new, more detailed character models; modern rendering techniques and crystal-clear surround sound give this great classic a new shine. Available May 29. Mecha Storm (ENP Games, $19.99) – The War has begun. The two largest factions in our Galaxy have been preparing for years, building deadly Mech armies to march into battle. But now the time has come for you to decide which side you will join. Available May 25. 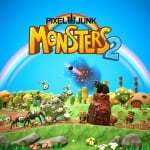 PixelJunk Monsters 2 – Full and Demo Versions (Spike Chunsoft, $14.99/Free) – In the acclaimed tower defense series' first ever official sequel, play as Tikiman and build towers to defend your Tiki Hut from the monster hordes. The sequel brings with it FOUR PLAYER online co-op, new and sometimes quite explosive fruit bombs and on top of that the game has been fully re-imagined in beautifully detailed 3D. Get ready to defend your Chibis again in this fun and addictive game for all the family. Available May 25. 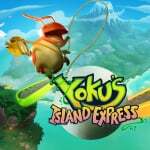 Yoku’s Island Express (Team17 Digital, $17.99) – Meet Yoku, the pint-sized postman protagonist of Yoku's Island Express! Available May 29. Dillon's Dead-Heat Breakers (Nintendo, $39.99) - As a team, defend a post-apocalyptic wild west from an invasion of transforming rock monsters alongside your Mii™ character, Dillon the armadillo, and his squirrel engineer, Russ. Recruit hired gunners to back you up in battle, and then roll into fights and high-speed chases and take down waves of enemies as Dillon—the "Red Flash" himself! Cycle of Eternity: Space Anomaly (RandomSpin, $4.99) - The story is twisted around three graduates of the space fleet, who fell into a time trap. Trying to get home they get into an even bigger mess. Fight with enemies, improve your ships, go through the story and try to free your heroes from the space trap! Sushi Striker: The Way of Sushido (Nintendo Switch and Nintendo 3DS) – The free Nintendo Switch demo for this sushi-eating, plate-throwing puzzle-action-RPG and the option to pre-purchase is now available in Nintendo eShop. The Nintendo 3DS version is also now available for pre-purchase. 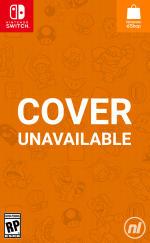 Nintendo 3DS version playable in 2D only. Xenoblade Chronicles 2 – New DLC is releasing for owners of the Xenoblade Chronicles 2 game and the Expansion Pass. Buy the Expansion Pass to gain access to titanic new content, including the pack below and a new story this fall. To learn more, visit the Xenoblade Chronicles 2 site. New Quests Pack 3, launching today at 10 p.m. PT. My Nintendo Dillon’s Rolling Western Wallpaper – To celebrate the Dillon’s Dead-Heat Breakers game launch, My Nintendo is offering two wallpapers featuring the armadillo hero, Dillon, redeemable with My Nintendo Points. For more info, please visit https://my.nintendo.com/ and check out the Smart device/PC rewards section. Nintendo Labo Contest Winner – Three winning creations for the Best Decorated Toy-Con category will be announced on May 25. Visit the My Nintendo - Nintendo Labo Creators Contest site now. You can still enter the contest category, “Best Original Invention Using Toy-Con Garage.” Take some inspiration from the contest submissions on the contest site. You can also filter submissions by selecting the “Invention: Original Toy-Con” menu. Don't forget to give a “like” to the ones that you liked. Void where prohibited. Open to legal residents of the U.S. and Canada, ages 13+. Nintendo Switch system and Nintendo Labo kit required. Contest begins 11AM PT on 4/20/18 and ends at 10:59AM PT on 5/11/18 for the Best Decorated Toy-Con Contest Category, 10:59AM PT on 5/25/18 for the Best Toy-Con Mod Using Toy-Con Garage Contest Category, and 10:59AM PT on 6/15/18 for the Best Original Invention Using Toy-Con Garage Contest Category. To enter, upload your photo or video of your Toy-Con creation or invention as detailed in the Official Rules. 9 winners will each receive One (1) Nintendo Labo Variety Kit (ARV: $ $69.99 USD) or Nintendo Labo Robot Kit (ARV: $79.99 USD), one (1) Nintendo Labo Creators Jacket (ARV: $ 70.00 USD), and one (1) award certificate (ARV: $ 70.00 USD). ARV of each prize package: $209.99-$219.99 USD. Total ARV of all prizes: $1,889.91-$1,979.91 USD. Chances of winning a prize depend on eligibility and quality of entries received, and how well each meets the judging criteria. Details and restrictions apply. For Official Rules, visit https://labo.nintendo.com/share/#!/contest-rules Sponsor: Nintendo of America Inc.
Bloodstained: COTM. Codes as a Kickstarter backer will not arrive until later, but I will still buy this as soon as it is released, just not in my platform of choice on Kickstarter (Switch) but on the 3DS. Dhillon if it was cheaper or available on cart, but both conditions unavailable in US, so no buy at this time. Got Atomine and Yoku's Island Express preordered, and I'm snagging Bloodstained ASAP today and I'm thinking I'm gonna give Baobabs Mausoleum a shot, been hearing really good things about it. Ikaruga is gonna hang out on the wishlist for a bit cause I still have a bunch of Psikyo shmups I haven't finished yet, and Pixel Junk Monsters 2 is on the radar as well. I just found out that Icey is coming out next Thursday and I've been waiting on that one so that will probably be my purchase next week. Gonna start being diligent about starting to tame the purchases a little, I'm approaching 220 games in my library and while I still want to "stay current" and keep up with everything that's coming I absolutely HAVE to start chilling out...I'll still be playing what I have now when I'm 77 lol. @Dom I just want to say I appreciate the dates added to things not coming out before today! It's no longer confusing. Alot of friggin games being released this week! Extremly Strong Update. Megaman Collection1, Punch Club, Bloodstained, Runner3 and Ikaruga... wow. That Credit Card bill is gonna blow up in the sky, tell you what. 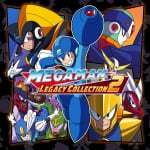 Does Mega Man Legacy Collection 2 have all the DLC for 9 & 10? Buy N++ if you don't own it already. Wow, what a release week! I hate to say it, but there are too many games releasing on the Switch! @Toads-Friend that be on the 1st June download so maybe there put it up in next weeks one!. Yay, a Sushi Striker demo! I thought the game looked interesting but wasn't sure if it was for me, so I'll see how I like it. Must fight the urge to buy all the Megamans again !! Wow crazy week for retro and nindie fans. I need more than 3 options for the poll I'll be buying more than 3 games. What a week! I've already bought Runner 3 and Megaman Collection 1 and I'll be buying Curse of the Moon today then Ikaruga and Street Fighter Collection on Tuesday. Ive already downloaded the Sushi Strikers demo and I'll also be downloading the Mario Tennis demo today (hopefully) as well as FIFA World Cup mode on Tuesday. Great stuff! Bloodstained, Street Fighter Collection, and Ikaruga, of course. And the Mega Man collection vol. 1 at some point. My Battle Chasers / AC: Origins combo still working out for me. So nothing this week. Also, got EarthLock when it went on sale in the eShop - so have a replacement waiting for Battle Chasers once done. @thiz That's the online tournament start date but there's supposed to be a demo arriving today where we can play offline. Waiting for my eShop bloodstained code! Got MMLegacy Collection 2 as part of the physical dual pack. Will check out Punch Club finally as well as Ikaruga and Legend of Kay. Busy week! Both Mega Man collections, Runner 3, and maybe Dillon's Dead Heat Breakers for me! The eShop is starting to get good! Lots of solid titles this week. On a side note, I'd love the meeting the marketing person who thought that "Baobabs Mausoleum Ep.1: Ovnifagos Don't Eat Flamingos" was a name that would be easy to type, say or remember. That one-line description of the game, though, is awesome. Waiting for reviews of the games I’m interested in. Kinda broke this week but I'm getting SF collection and adding a bunch of games to my wish list. Adulting is lunatic mode. Nothing in particular for me, though I will say that the Mega Man Legacy Collections are super tempting, I have been waiting for them to be released for ages, I am a bit more excited for the X series since I find those games to be all around better. Still I will inevitably end up getting both. @LinktotheFuture Yes. I think you have to beat the game once to unlock them unless you enter a cheat code. Bloodstained and the Sushi Striker demo for me! Nothing for me this week, patiently waiting on that Mario Tennis Aces demo later today though. Excited to check it out! Harvest Moon for me. No Dillion for me since it is $52 here in Canada. Also going to buy the Street Fighter Collection at some point because I love those games. Picked up Tumblestone for Wii U this morning since it was on sale. If I remember correctly it is marked down to $8.40. Bloodstained has still not showed up in the US store and it's already up in the UK... I wanna get it from the US due to a better exchange rate...the wait is killing me! Bloodstained and Yoku for me. So many games I want this week, and for once there are so many I don't have enough money to buy them all at once this week...wow. Picked up mega man legacy collection 1 & 2 on Tuesday (physical) well sort of lol. Next Tuesday will be street fighter 30 anniversary collection and Owlboy (physical) then I'm good until June. Waiting for a review on SF 30th. Looks awesome, but kinda pricey. I mean, I have these titles on other systems already. Why do people keep saying Jurassic Pinball is a reproduction of a real pinball machine? Because it's not. Just a quick glance at the screenshots on the eShop makes that pretty obvious. ...didn't have enough room for Sushi Striker on the Poll? Also, wasn't the 3DS version of Bloodstained: Curse of the Moon supposed to come out at the same time as the Switch version? It just dawned on me that the poll is quite misleading. You get to choose up to three. Unless your choice is none of the above, you can either choose one or two or three. So if a game is showing 20% (like bloodstained is at the moment), it will have to garner 60% of voters if all choose three. Even factoring the one/two/zero voters, it surely means more than 20% want that game. Sushi Striker demo on Switch! Wow, Bloodstained is finally releasing? Too bad I find SotN incredibly dull. Hope those who have been waiting for it enjoy it. I've already downloaded MMLC2. I wouldn't downloaded the first one, but I got it physically. Same goes for the new Street Fighter collection, which is arriving next week. Doesn't the Mario Tennis Aces demo release today in US? Already have Street Fighter 30th Anniversary Collection pre purchased. Buying Bloodstained: COTM and Ikaruga this week. Picked up the Mega Man collections and Runner 3 physically earlier this week and i have Street Fighter 30th pre ordered physically as well!!! Can anyone tell me anything about Trax? Not saying it looks amazing — I'm simply curious. Oh and i have a pre order for PixelJunk Monsters 2 placed from Limited Run Games. Im gonna have to wait a bit longer to play it but its gonna be worth the wait!!!! 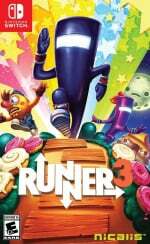 I want some of these (Runner3) but feel no need to rush to purchase any of them. I haven’t downloaded anything in weeks. Waiting on a deep discount on some of the games I’ve wanted. Aqua Kitty is $4 and change this week. Maybe that. @CanisWolfred IntiCreates released a statement that the European 3DS launch and the X-Box One worldwide releases are being delayed. @Dr_Corndog This is not THAT Bloodstained. It's an 8-bit-style prequel game that takes after the early Castlevania titles, mostly Castlevania III. Getting Bloodstained. Got my physical Megaman on tuesday, looked at all the museum stuff, playing the games. Gave up on 1 upon the boss rush, but I beat 2 and 3. Working on 4 now. @mystman12 It drives me crazy too. I think the developer is using confusing phrasing in the hopes to mislead people. The table is only made to look like a table that could exist in reality (as opposed to Pinball FX tables). The screenshots make it look very poor for even $2, can’t imagine the physics would feel good to play either. Sushi Striker demo is up for those who want it! Mega man collection 1 or 2? 2 Mega Man Collections, Bloodstained, Street Fighter, Runner 3, Ikaruga.... this is the BEST week of releases I’ve ever seen on the eShop, as far as my interests are concerned. Holy crap!! Ikaruga, Punch Club, Baobabs Mausoleum, Fallen Legion, Harvest Moon, Knights of Pen&Paper. I want them all. Got Runner3 physical. Nicalis is the best at this retail business. Whats up with Megaman collection 2 being more expensive? Even though I'm pretty sure I own all of the games included, (some of them multiple times) I'm still eagerly awaiting Street Fighter Anniversary Collection. Maybe it's just being able to take them all on the go in one thumbnail-sized card. The online play will be nice, which if USF2 is anything to go by, there will always be someone to fight. preordered physical copies of street fighter collection, and rbi baseball 18. Please don't make me pick just 3. 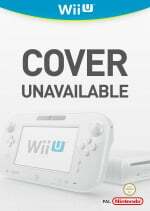 Ikaruga, Bloodstained via the Eshop and SF Collection on physical preorder! What a great week! SF Collection, Bloodstained and Ikaruga for me. My frothing demand for Ikaruga increases as its re-release draws near. Oh, and I backed the KS for Bloodstained, but I'm one of the slightly p'd backers who chose Switch as my platform. At least I can play it on Steam until the Switch code arrives. I voted "nothing" but now that I've seen reviews, I'll probably pick up Curse of the Moon. Sounds great. Megaman and Street Fighter are physical pickups. Maybe the Sushi Striker demo, just for the heck of it. I'm not too interested to begin with, but it's free! Sushi Striker demo for me! Sushi Striker demo. Game looks neat from the trailer so wanna give it a try before I buy. Bloodstained as blown me away so far. Couldn’t download the Mario Aces demo. Kept getting an error. Does Ikaruga have Tate mode? If yes, sold. If no, hard pass. Huh. Just noticed the Sushi Striker demo is for Switch & not 3DS. Even better. So far: Baobabs Mausoleum is AWESOME, but I'm a weirdo so it could just be me. Really enjoying what they're doing with it so far and I can't wait to play more, I didn't expect it to play so well but something kept drawing me to it so I decided to go for it. Bloodstained: Just BUY IT. Seriously, it'll be one of the best $10 games you ever buy, I promise. if you have even a PASSING interest in what that game is all about it's a must buy, period. Bloodstained is likely a definite buy, and Street Fighter has my attention--I've always wanted to get into Third Strike. @OorWullie Just installed the Demo here in the US! I'm also SUPER stoked for Atomine tomorrow. To date, NeuroVoider is my reigning favorite twin-stick/roguelike shooter but since it is my fave genre I am ALWAYS on the lookout for the "perfect" one and Atomine really looks strong. Something about those games just really gets me jazzed but there is always SOMETHING not quite right, except for NeuroVoider. the only fault in that game is that I'm just not good enough to be the third boss yet lol, and that's really MY flaw right?. Going to be playing Megaman all the way through for first time. Might get Street Fighter eventually, but not anytime soon as I already have Street Fighter 2 Final Challengers. Street Fighter 30th collection is stupidly expensive on the Switch. Buy it for another console if you have one or wait for a sale if you don't. @Fake-E-Lee I wonder if Nintendo will limit us to 300 icons/purchases/windows like they did with Wii U! I hope not! @techdude Didn't notice it was just a demo, thanks. @Mach_Rider Aaaand this is the North American eShop update. Not European eShop, and definitely not the Xbox One shop. Anyways, I see it's on the 3DS eShop now, so it's all good. Another good week. Street Fighter and MM I'll be grabbing physically. Ikaruga, Bloodstained and runner 3 on the digital side. @joey302 Yikes, I didn't have a WiiU so that's news to me lol. Bloodstained, Mega Man Legacy 1&2, Street Fighter, Runner 3, Ikaruga, Mario Tennis demo. @Fake-E-Lee yea I remember having to figure out which games to delete to make room for new downloads being I was maxed at 300! And it wasn’t even about memory management either lol. Crazy and illogical- hopefully not an issue on the Switch! Games on sale this week if anyone is interested. Plague Road is down to $1.99 from $15. Sine Mora Ex is $15 down from $30. Most of the Steamworld games on Switch, 3DS and Wii U.
Bloodstain and MegaMan collection 2 are must buys. DUH. I downloaded the Mario Tennis Aces demo at 8PM Eastern but it won't let me play anything, keeps giving me an error message. It runs, I can see the moves list and settings, but not play. I really enjoyed the interface for the Mega Man Collection. Bought both, but the 1st seems slicker. If more companies could release comps of their retro titles in a similar fashion, I'd bite. A Castlevania retrospective from Konami, for example, would be a must purchase, even if it's just the Nintendo offerings. Here's hoping Bloodstained COTM will be a big success that Konami takes notice and releases some Castlevania on the eshop, a remaster of the Wii Ware Castlevania would be start. Or M2/Sega Ages-like treatment for the NES Castlevania, now that Virtual Console seems like dead as a door nail (no, Switch online NES freebies doesn't count). I will get Mega Man, & SF physical. @rjejr thanks friend. I checked but cannot see it on Uk eshop just yet. @rjejr That is just absurd. We can download the game, but we can't play it until the event happens, not even the offline VS CPU mode to help get ourselves prepared for the real deal!? Seriously, Nintendo needs to rethink their demos. @Fake-E-Lee Are you my evil doppelganger? Yes, the COMPLETE DLC set for 9 and 10 is included. It's locked behind completing the game once, or you can use a secret code once at the title screen of each game to instantly unlock it. As for me, I was a kickstarter backer for Bloodstained, so I'll be getting both the main game (when that comes out) and the alt-U game on both Steam and Switch. I'd already preordered both MMLC1+2 digitally and I've been quite happy with them so far. Ikaruga is definitely on my list for when I can afford to, even though I have it on DC, 360, and Steam. @Agent721 Sure looks like you've read my mind. I have exactly the same purchases planned! @Toads-Friend I don't know anything about the UK eShop. I only knew about it coming to the US eShop b/c Ourwullie mentioned it in this comments section. @StephenYap3 "not even the offline VS CPU mode"
Well I couldn't get it to work last night. Possible the servers just weren't up yet to check in, but it probably won't work until next Friday. Knights of Pen & Paper is wonderfully charming (I have it on Steam and Android, thank you Humble Bundle) and I highly recommend it! Since NLife doesn't let vote for more than 3. I think that will be a whole lot of us! Great week! And it’s a holiday on Monday in the US, so plenty of gaming time! @Agent721 Enjoy. Got of games plenty to play meself before Ikagura and Street F! @CanisWolfred yes they goofed. I am playing bloodstained on my 3ds and it is awesome. Only delayed in Europe next week and xbone after that. @Fake-E-Lee Hey dude, did you by any chance grab “Dungeon Rushers?” If so, is the actual combat similar to “Battle Chasers,” which I am LOVING (seriously LOVING), but am moving through way too quickly for my comfort? @rharalson Nah, looked a litte too "phone gamey" for me lol. Might be good though, who knows. Battle Chasers is freaking AMAZING but I screwed up and got Pixel Junk Monsters 2 so that has been my obsession the past few days. That game is brilliant man, and one of the most addictive I've ever played.